I no care. I walk. 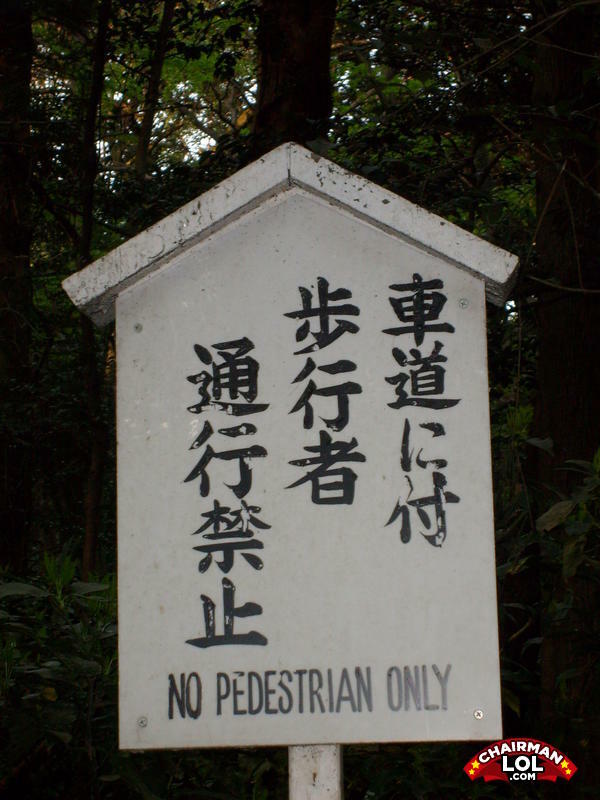 It really says, "This road is for cars, pedestrians do not enter"
No pedestrians only! Pedestrians must have at least one non-pedestrian with them at all times. Yo momma so fat she went on the Subway diet and is now exercising regularly to lose weight.